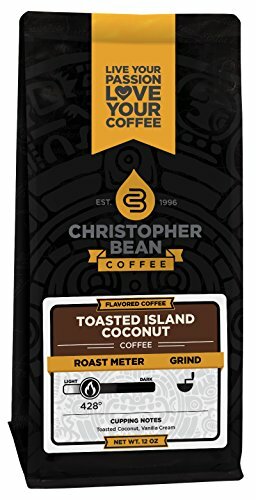 Not only light in flavor, Christopher Bean’s Toasted Island Coconut is light on the calories as well. As a matter of fact, it has virtually zero calories! Only sugar-free, fat-free, and non-GMO flavorings were used in this blend. What’s more is that it comes with the Fresh Roast Guarantee – we will only roast your coffee right before shipping to ensure that no less than the freshest coffee will arrive on your doorstep.